Lamborghini founded in 1963 has become synonymous to luxurious speed cars. Ferruccio Lamborghini, started the company with a purpose of creating a series of top model cars which would have features exactly like those of racing cars. 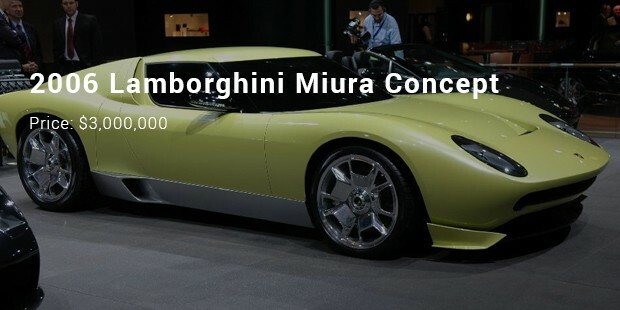 Its first model was named as Miura which was a high performance car similar to that of Porsche. 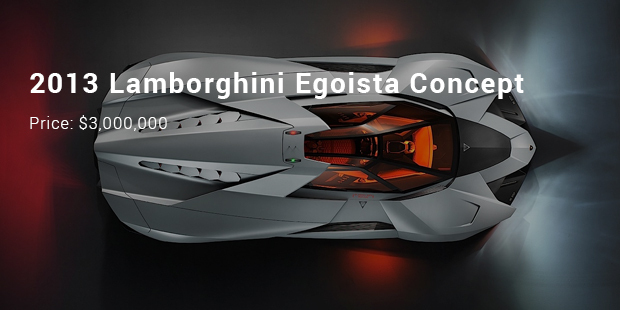 After a few years of ups and downs, Lamborghini was in the arms of Volkswagen group. Due to its astronomical prices, the company has also faced many downside years but it still is moving on and continues to produce world class superb models. 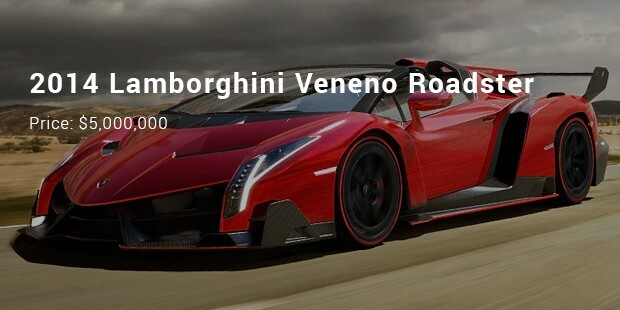 This 2014 Lamborghini Veneno roadster is one of the most expensive cars in the world. This Veneno roadster has a 6.5 liter V12 engine that delivers 750 horsepower. The engine of this car is a companion to IRS transmission. The car features everlasting all wheel drive with a pushrod suspension. The roaster version has a top speed of 221mph. This Veneno supercar has a 750 horsepower. 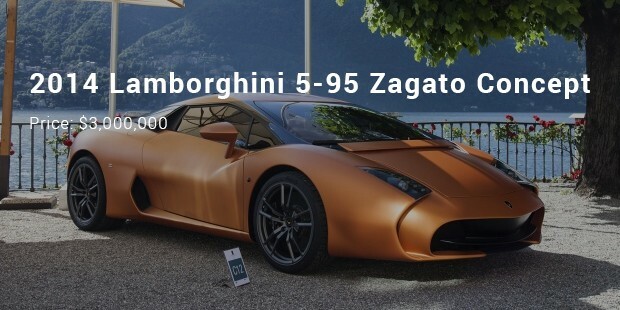 It is one of the most expensive car ever manufactured after Buggati Veyron and Mc Laren F1. This car has a 6.5 liter V12 engine, everlasting wheel drive and reaches 0-100 km/hr in 2.8 seconds, with a top speed of 220 mph. 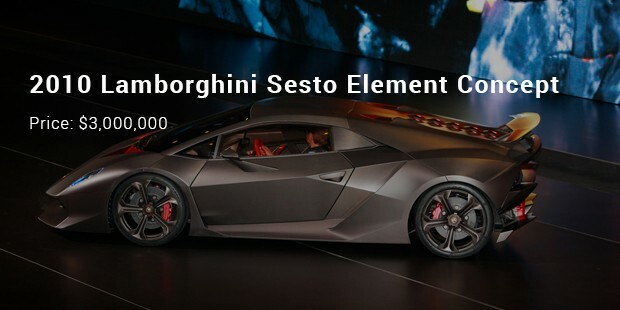 This Lamborghini Sesto element is a two seated and two door, V10 high pickup lightweight concept car produced by Lamborghini which was made public in the Paris Motor Show 2010. It features a 5.2 liter V10 engine delivering 578PS and 400lb-ft torque. The body, chassis and the suspension are made up of carbon fiber. This model was first displayed at Geneva Motor Show 1995. 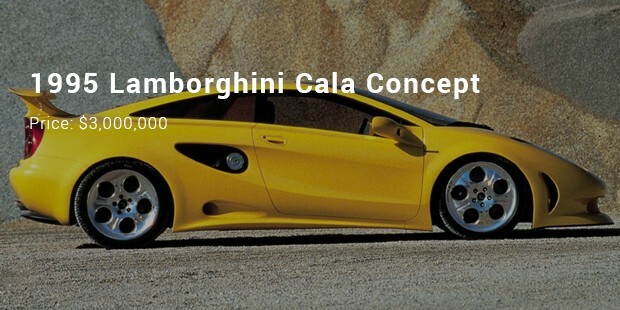 The Cala was motorized by a mid mounted V10 engine which gives out 400 hp. The chassis was made up of aluminum and the body part was made of carbon fiber. The top speed of this car was estimated at 181mph. 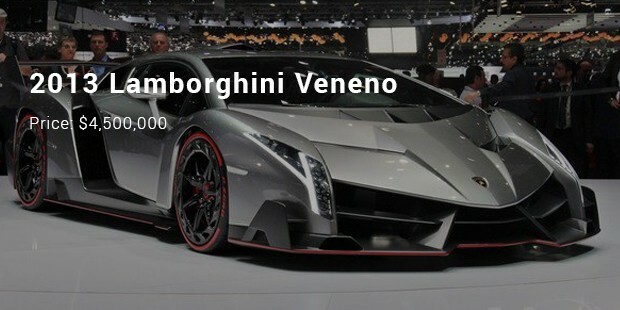 Lamborghinis’ innovative ideas and execution definitely sets it apart irrespective of all the ups and downs it has faced. T is a treat for the eyes to see these top models of Lamborghini. It is a wonderful automobile and a definite choice for the car lovers.